Kawhi Leonard and the Raptors held on for as long as they could, but there was no chance in hell they were stopping Kyrie Irving tonight. 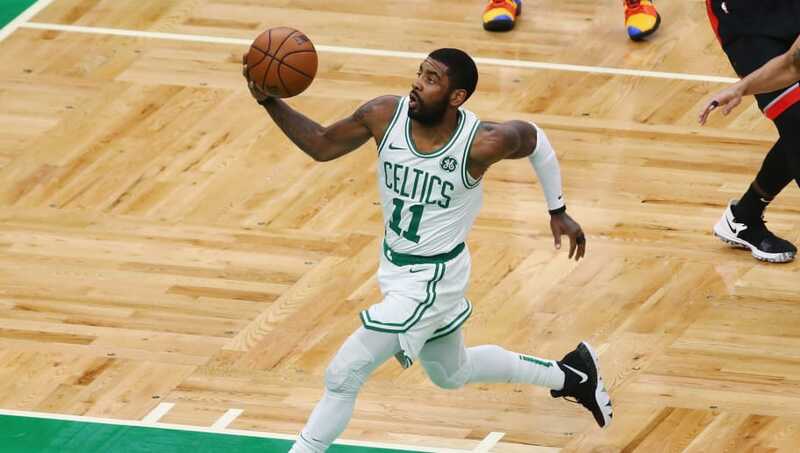 Helping the Celtics to their 9th win of the season, Irving dropped 43 points along with 11 dimes in their 123-116 overtime win. But it wasn’t just the stat line that was impressive — it was the onus he on himself late in the fourth and in overtime, demanding the ball and receiving it in ways Kevin Durant should have from Draymond. The Celtics supporting cast evaporated any chance for a significant double-team, leaving Kyle Lowry and Fred VanVleet hanging out out to dry, leaving Kyrie free to go full-on Uncle Drew. Games like these prove exactly why Irving wanted out of Cleveland – to be the man. The chance to close a tight contests would almost always be taken away by LeBron James. 43 PTS. 11 AST. 18-26 FGM. Irving’s always had a reputation as a clutch player, seemingly picking up his game by a few gears in the crux of games. While some shrink to the moment, Kyrie doesn’t. He thrives. Irving is literally a streetball god playing in the NBA, and if he continues to play at such a high level in the crucial moments of games, Nick Nurse and the Raptors might be in for a tough time come the Eastern Conference Finals.